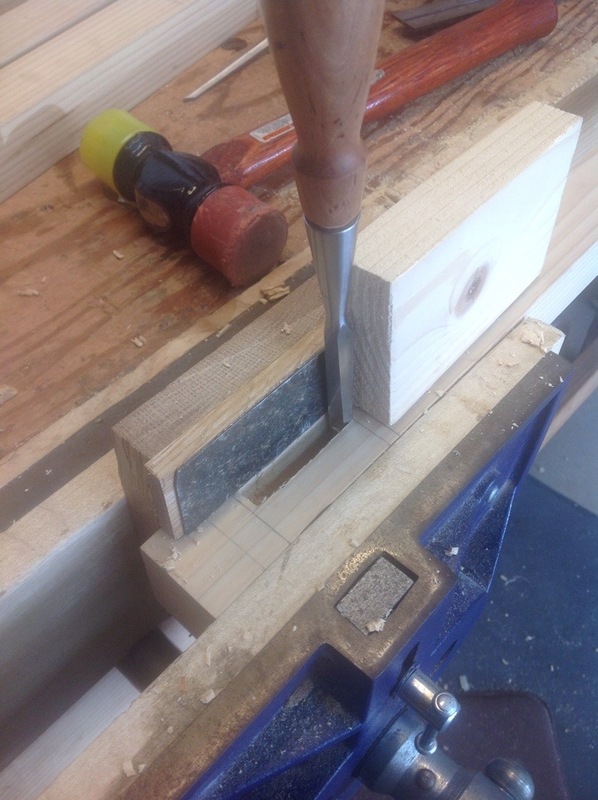 I know that sound and mushy feeling of the chisel all too well, so I feel your pain. 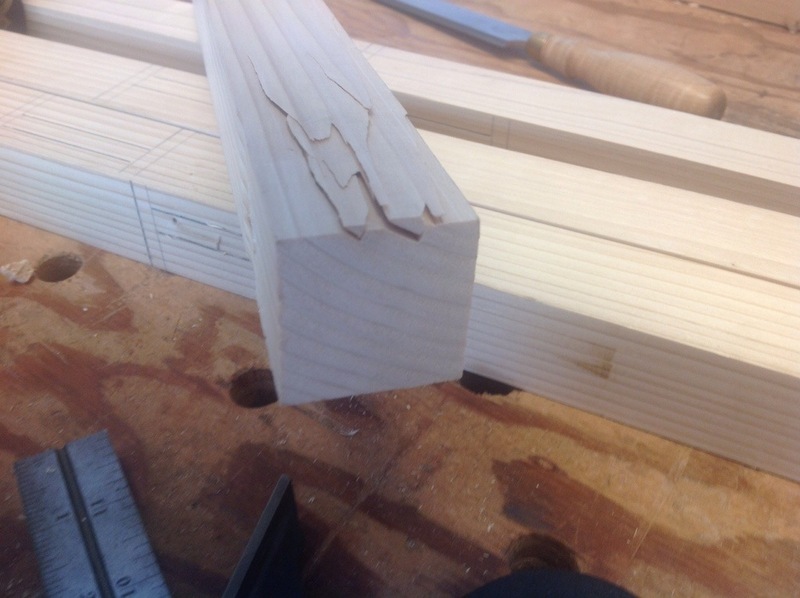 This is one of the drawbacks to chopping mortises in the vise. I got in the habit of light cuts once I’m reach a certain depth. Still it happens to me once in a while. Especially when the grain is like in your example. It should glue up pretty well. If not, chalk it up to practice. Been there as well! I went clean through with the chisel once. I was having so much fun chopping away. Now I consciously ease back on the hammer blows towards the end. It does look like those splits will glue nicely. Wow, thanks John, I thought I kept up with your blog pretty well but must have overlooked this post.